Sorry, no public transit is currently coming to Bragg Creek- yet! Our wonderful menu can be customized for your group event or party! Please speak with Pamela to inquire about making us your next catering option. We have two beautiful rooms to hold your family event, wedding, or anniversary party. 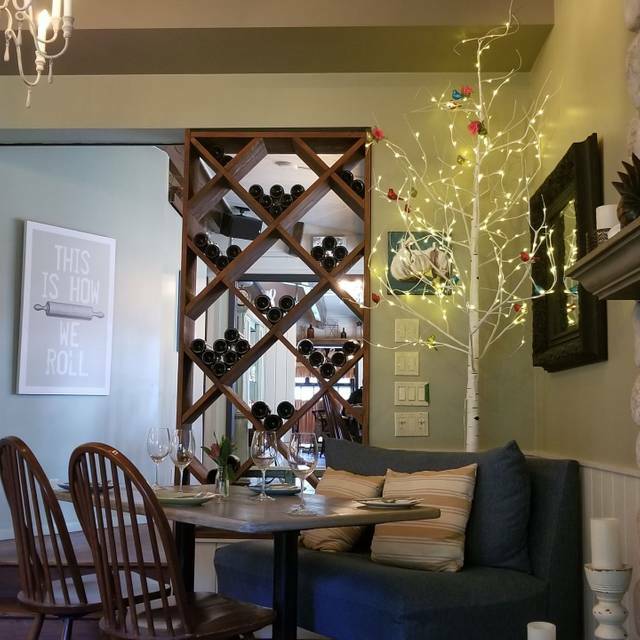 Our dining room holds up to 56 guests, and our Bistro side can hold up to 35 guests. The option to book partial or full private rooms is available. we look forward to serving you at our Farmhouse! Celebrating All The Special Women in Your Life! Chefs will be offering brunch items along with our amazing Farmhouse menu- Enjoy!! Happy Easter Everyone! Chef's will be offering Easter Brunch Items & Special Easter Dinner menu, along with all your usual Farmhouse favourites! A great place for a family dinner Or dinner with friends. Something for everyone. My guest & I shared the Arancini Balls for an appetizer. I had the Gnocchi & my guest had the Seafood Fettuccine. Both were flavourful & fresh. I had the Chocolate Pate for dessert - the BEST I’ve ever had. Josh was our server & was efficient & engaging. Worth the drive from Calgary & then some! Lovely food and ambience. They do need another server though, as it started to get busy, it took a long time for our food to arrive after ordering. Would definitely go back again. Our favorite spot. They were short-staffed so the greeting and seating took longer than expected - however once seated - all was perfect as usual. Food is high quality with great service and a warm ambience. Would recommend it for a special occasion or as a nice place to go just because. A lovely evening! We chose the "Choose 3 for $33": the menu was interesting and the food was delicious. The March three course special was incredible value. The care taken with plating and meal prep was up to the highest standard, as always. We had a lovely evening!!! Thank you Joseph. We got the table we asked for in our reservation. The waitress was lively and gave candid recommendations on new vs regular menu items. Food was amazing as usual. Still one of our favourite local spots for a nice night out. Excellent lunch time dining experience. But keep the same kind of music. Our favorite restaurant, the drive prepares you for a relaxing evening. Great food best services and environment for a restaurant experience. Only reason I rated service for 4 star is there was only one server for busy weekday lunch time. He was working hard in that challenging situation so I am rating him 5, he said it was unusual volume for weekday lunch time that day. This upscale farmhouse has a wonderful ambiance without being pretentious. 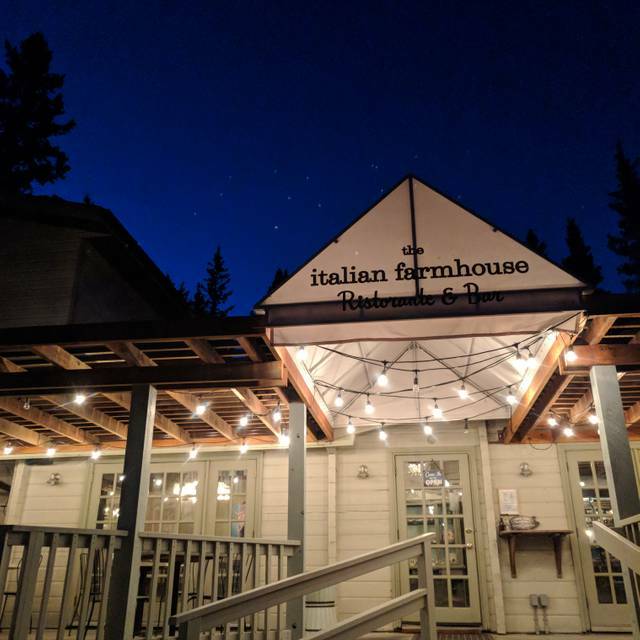 The experience starts with the picturesque drive from Calgary to the restaurant in Bragg Creek where it's nestled in the trees. The staff are attentive and the food is delicious and fresh. The wine menu is small but has great choices with organic options as well. I would highly recommend this restaurant for a date night. The group tables were too close together and we felt squished like sardines at our table. They seat 6 people at a table that should probably just seat 4. I would strongly recommend rearranging the tables or removing one altogether to give more breathing room. Not a great ambience and overly noisy. Our waiter was nice and attentive. The food was ok, but the elk was underdone and the ribeye steak was a very poor cut. The beet salad was below average. The calamari was good as was the focaccia bread. The lemon chicken was way too salty. We expected a better experience for the price. Sorry to have to leave a bad review. We’ve already recommended your restaurant to some family/friends - and they are so looking forward to dining there, real soon. I had some dietary restrictions - gluten free - and I was well informed about what I could and couldnt have. The food was very tasty - lots of flavour - and all the dishes were absolutely delicious. The whole atmosphere was very warm and inviting. Love the dining experience in your restaurant. 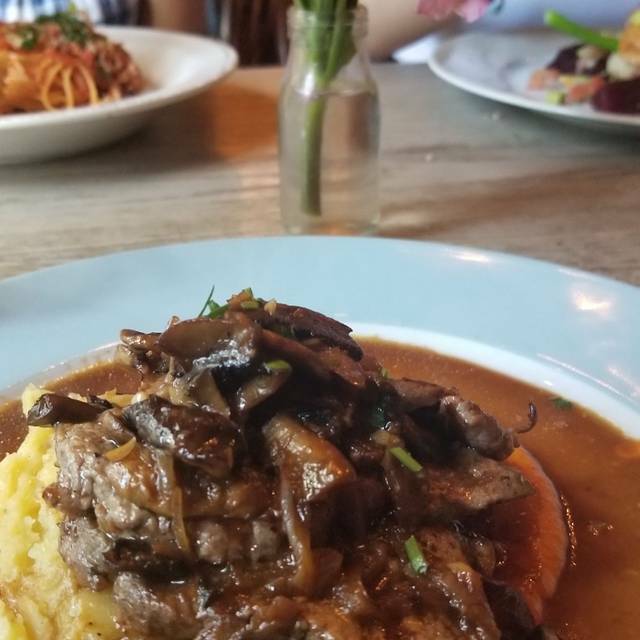 One of the best Italian meals we’ve had! We had the calamari appetizer - always a favourite - and had the steelhead trout special. The trout was perfectly cooked and served hot over a bed of excellent risotto. As it was a birthday celebration the service afforded several nice touches - including Prosecco to start. The service was just right - helpful, thoughtful, and not intrusive. Arrived and were seated right away but the location, couch in particular, was very soft and low. We asked for another table which was accommodated. Our service was fine, food was very good. All in all, we had a very enjoyable evening. We fought through a snowstorm on Tuesday night to celebrate our 40th wedding anniversary. I had forgotten again but the restaurant, on the recommendation of a friend saved the day. Over all- very good. Food was fabulous! Great ambiance. Fantastic night out with great food, great service and very relax ambiance. Will definitely go back and recommend to friends!! 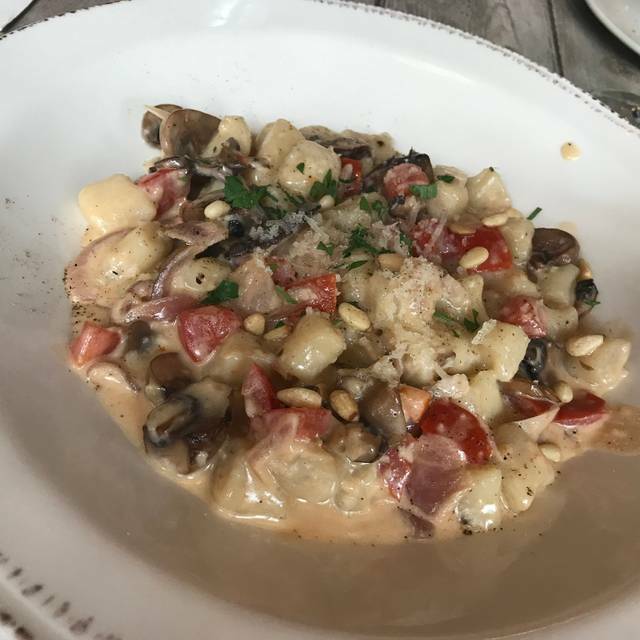 The Italian farmhouse never disappoints everything is always amazingly delicious! Great little nook of a place. 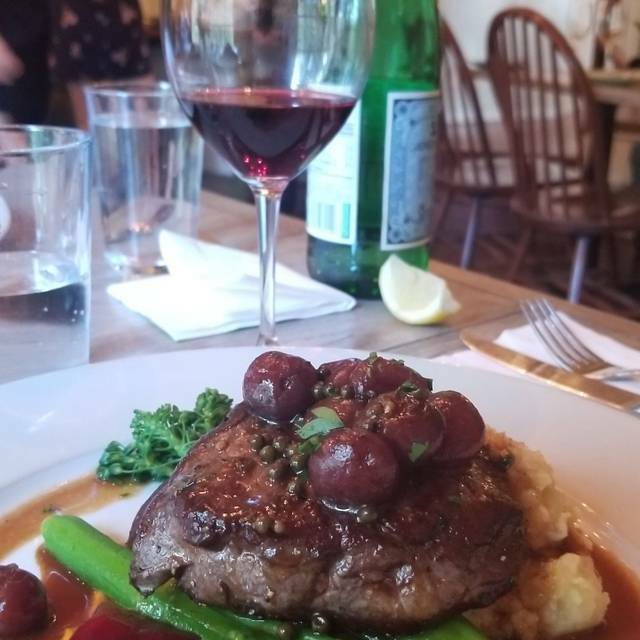 Good food, wonderful service and charming setting. We went for a dinner date and brought along our 1 year old. The staff were fantastic and brought out a book and a plastic cup for our daughter. The meal was delicious and good value for being in Bragg Creek. A wonderful venue for a special event dinner or just a night out! Great place for dining, lunch and dinner, we would go back for sure. All was great except we were next to a table that was very loud. But you cam't help that. We keep coming back and bringing out of town guests. Kerp up the great dining experience. Loved the atmosphere, even though there was a family on the other side of the restaurant with 4 or 5 young children making lots of noise. Chose one of the specials for dinner and it wasn't great. Would definitely go back and try a menu item. Great food and great, friendly service. Menu is diverse but not overwhelming with choices. Great flavor, good portions and very good presentation. Quiet restaurant allows for conversation. 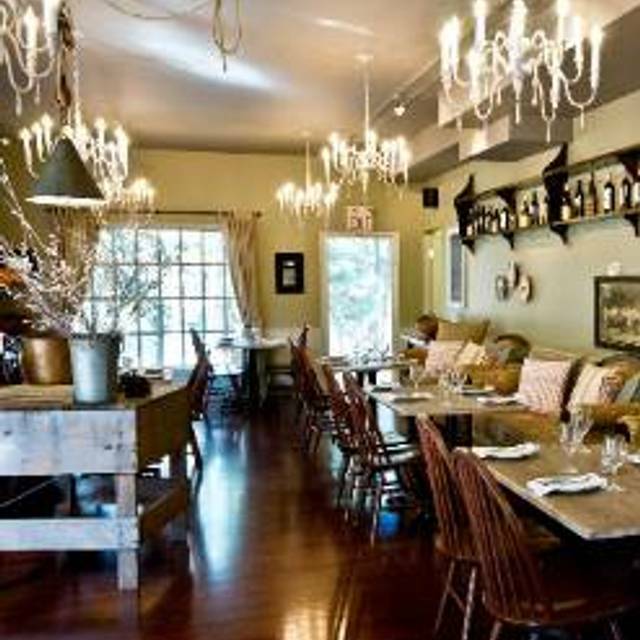 The country atmosphere is great and the seating is cozy, feels like fine dinning at home. 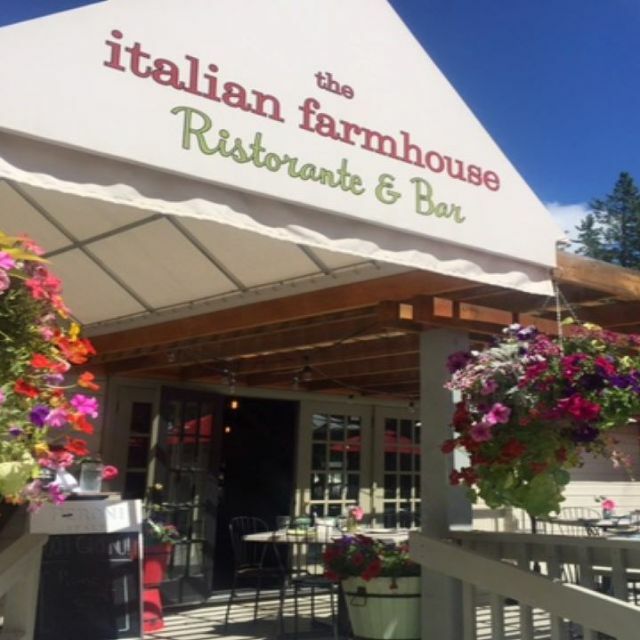 Hidden gem out in Bragg Creek! Amazing food and atmosphere. 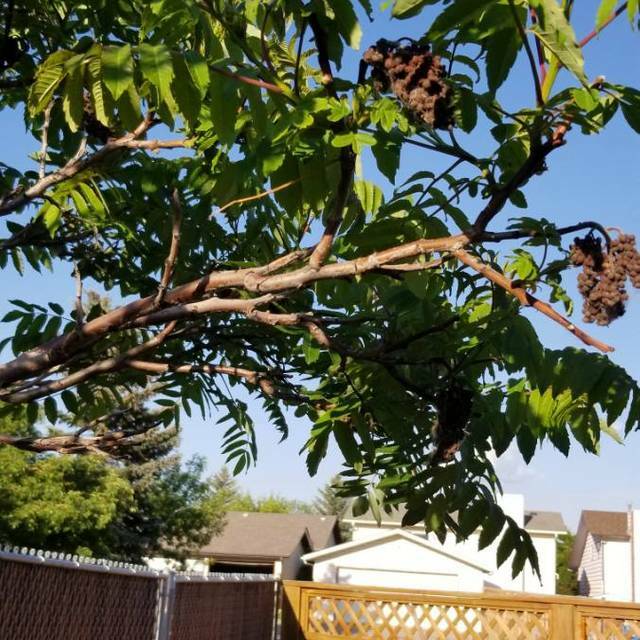 Top 5 Italian restaurant in Calgary and surrounding area IMO. Best Italian food since we were last in Italy. Good service. Our server was Francesca, excellent service and smiled all the time, we were happy to have her. 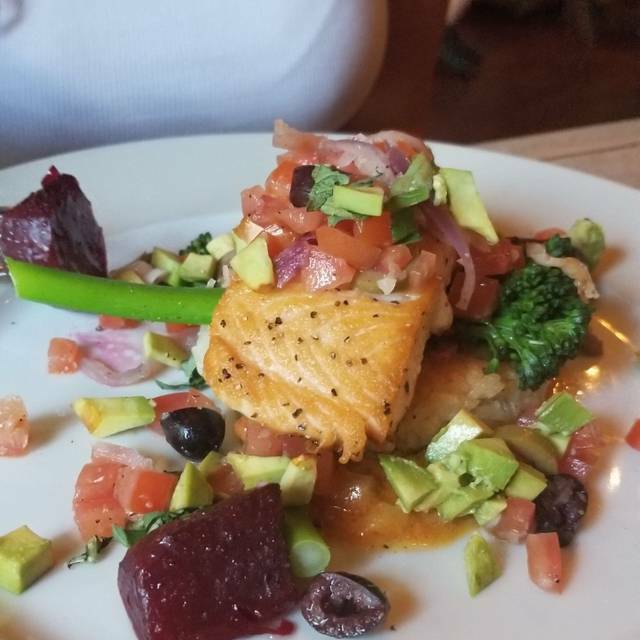 we had the Salmon and I highly recommend it, one word to describe it: DELICIOUS!! !